Recently, a zoo in Arizona received a lot of negative publicity because one of the animals-a female jaguar-was forced to defend itself. These beautiful animals already have a stressful existence living in captivity. This stress is compounded by patrons of these zoos and animal habitats who ignore barriers and boundaries and put the well being of these animals in jeopardy. We want to raise funds so that we can raise awareness of the dangers that animals such as black jaguars face when boundaries are not respected. These beautiful animals will show us the same respect we show them. 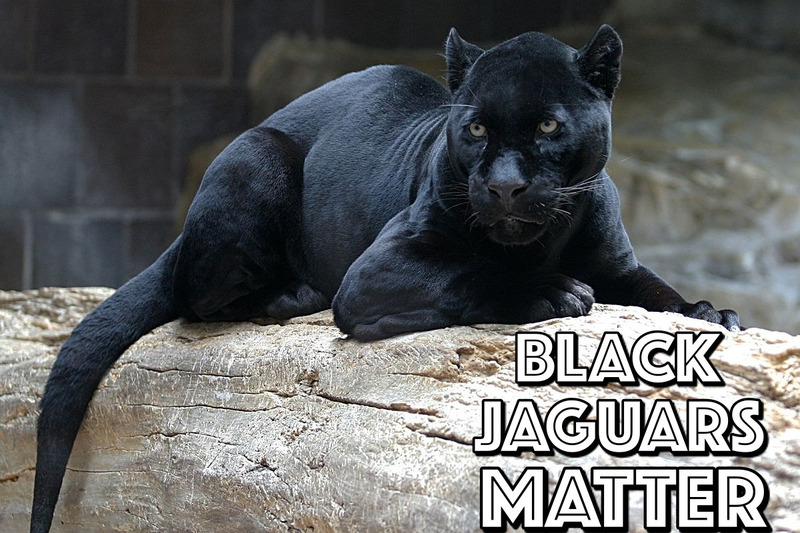 So be sure to support Black Jaguars Matter!